Found 7 file extension associations related to Camtasia for Mac and 4 file formats developed specifically for use with Camtasia for Mac. 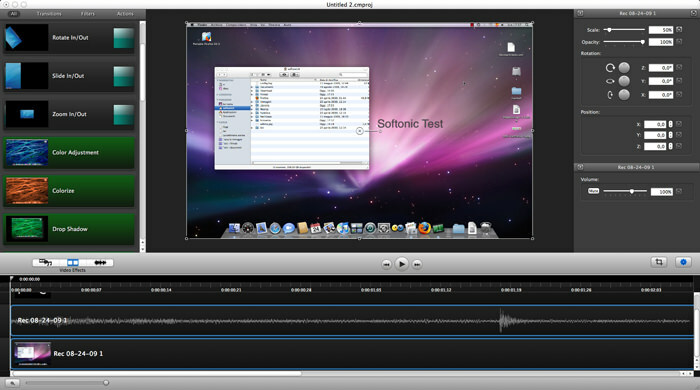 Camtasia for Mac allows users to create professional videos. It is able to record your on-screen activity or import HD camera video, customize and edit content, and share your videos with viewers on nearly any device. Powerful, yet easy-to-use, Camtasia helps you create professional videos without having to be a video pro. Easily record your on-screen activity or import HD camera video, customize and edit content, and share your videos with viewers on nearly any device. If you need more information please contact the developers of Camtasia for Mac (TechSmith Corporation), or check out their product website.